The primary symptom of any skin cancer is usually a mole, sore, lump, or growth on the skin. It is important to watch for any pigment changes in sores or bleeding from skin growths, as these are often associated with the development of skin cancer. Borders: The lesion or growth has irregular edges. Color: Color changes from one area to another, with shades of tan, brown, or black (sometimes white, red, or blue). A mixture of colors may appear within one sore. Diameter: The trouble spot is usually (but not always) larger than 6 mm in diameter — about the size of a pencil eraser. How Are Your Skin Cancer Treatments Different from One Another? Your Skin Cancer Page Lists Several Different Treatments. Are Any of Them Particularly Non-Invasive? Will I Be Able to Choose One, or Will You Be Making the Decision? There are a multitude of treatments for skin cancers because there all sorts of types of skin conditions we treat. These range from medical (topical) treatments, to laser and surgical methods. We will discuss which treatments are available and then which ones are preferable for you. How Can I Tell the Difference Between Cosmetic Sun Damage and the Dangerous Kind? I Will Be Having Some Sun Damage Treated Soon, but I'm a Little Nervous That It Might Be the Dangerous Kind, and I Want to Know If I Should Take Care of It as Fast as Possible. The only way to tell if you have some skin cancer issues is to have a physician look at your skin to tell you this. 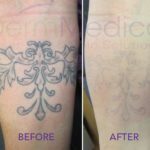 Sun damage is common, we all have it to one degree or another. Prolonged sun exposure can lead to skin changes that are cancerous in nature such as a basal cell carcinoma or a squamous cell carcinoma and only a physician qualified to diagnose these should give you the answer. What Is the Price to Have Skin Cancer Removed? 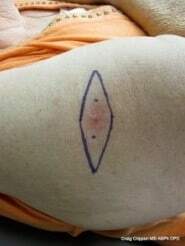 Skin cancer removal treatments are generally covered by your provincial insurance plan. We do however require a referral from your physician to assess the condition initially so we can formulate a treatment plan. Will a Cancerous Growth Disappear, I.E. Basil Cell Go Away on Its Own? Basal cell cancers do not spontaneously disappear, they usually need to be surgically excised by a physician. Can a Plastic Surgeon Diagnose Skin Cancer? Yes the can, but normally your family doctor can spot them and diagnose them as well. The best way to check out a suspicious lesion is to be referred to someone who does this all the time like Dr. Crippen does. On your own, look for any lesions that are not like others you have and are unusual looking. 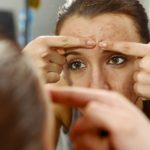 How Do I Know My Doctor Removed All of My Basal Cell Carcinoma? Your doctor should be able to tell you after receiving back the pathology report if everything was removed. This is the only way to tell. 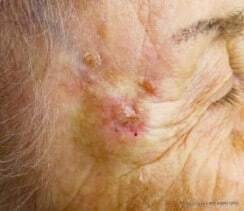 Does Basal Cell Carcinoma Still Pose Health Risk If Only Under the Skin? Yes, basal cell cancers are always a risk and should be excised. How Long Can I Wait Before Surgical Excision of BCC? This varies between people but Basal cell cancers normally do not metastasize(spread elsewhere) so a bit of a wait is not unusual nor should it affect the outcome. Can a Stage 4 Skin Melanoma Heal on It's Own? Melanoma should never be left to grow on it’s own, death is the most likely outcome with this option. The best thing you can do is avoid excessive UV exposure, use a good sunscreen when outdoors and get your skin checked regularly if you have any odd or concerning lesions.